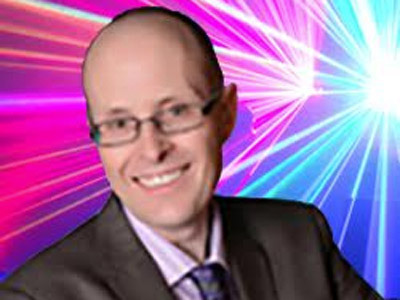 "Award Winning Wedding & Birthday DJ (18 years)"
I am an experienced DJ for all your special occasions, from children's parties, teenage discos, weddings etc. I can cater to all ages and also offer our disco and DJ hire for themed events and social sporting events. Whatever the occasion, I'm sure your guests will be delighted. Our aim is simple, get you up dancing and keep you on your feet all night. But if you are looking for something a little different that's not a problem it wouldn't be the first time I've been asked to play rock music, hip hop or R&B all night. I have also been the support act for a number of bands etc. Please ask I am sure I can help. If you are looking to book any DJ for Christmas or new year's eve, I'd advise to book early as it does get a little busy. We arrive at least one and a half hours before the start time, to set up and I will need one hour to pack away at the end, if you need us to set up earlier in the day that's not a problem & quite normal for wedding discos. 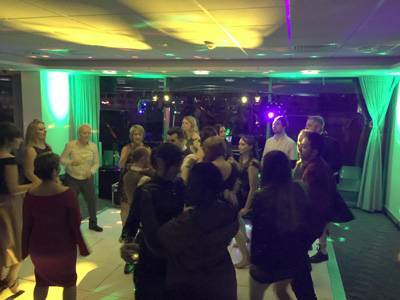 Required by many venues, Jackal Sounds Mobile Disco has a current PLI policy with National Association of Disc Jockeys in the amount of £10 million. 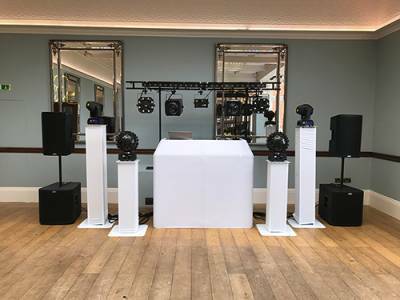 Also required by many venues, Jackal Sounds Mobile Disco has supplied satisfactory evidence of holding current PAT inspections of their equipment dated within the last 12 months. A Method Statement outlining Jackal Sounds Mobile Disco&apos;s Health & Safety procedure for setting up disco equipment has been provided. Jackal Sounds Mobile Disco has provided Risk Assessments undertaken at events sourced via needadisco.com, indicating that they can undertake these competently. 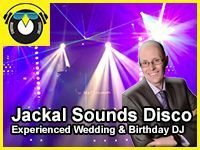 Why do people choose to book Jackal Sounds Mobile Disco? Offered what we were looking for at the right price. For really good feedback from other customers and prices. Looked good value for money with aditional moodlights inclusive of the price and good reviews. "Music selection played was not a good choice. Many occasions when the dance floor was empty due to the music playing and I had to ask him to change the music on several occasions. We requested Motown to be played yo begin with and this request was ignored. I would not recommend this DJ." "Thank you for your review, I have had a look at my notes and play history and I did play all the requests that I could including the list you sent me before the night. Sorry for not playing more Motown. " 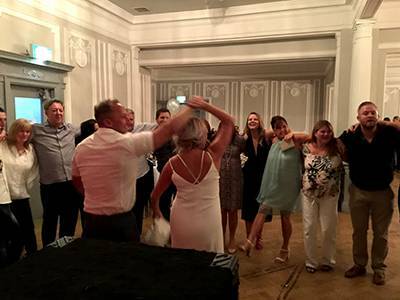 "Great disco, fitted the venue very well and Karl provided our 1st dance song (2 songs blended together) for the day and via email for us to practice to before the day....which saved us having the hassle of doing the mix ourselves. Overall a great little disco just right for us. " "Thank you for your feedback, it was great to meet you & I hope to see you again at some point." "Karl was absolutely brilliant from start to finish, at the beginning of the party there were children present he played music appropriate for them. After they had left he changed the music to suit the adults, we all like our rock so he played rock. Karl took requests, and once he found it was fancy dress he went off for 30 seconds and came back in fancy dress. Not only did Karl get the music and atmosphere right he is a lovely man. I will be booking him for future events without hesitation. Karl if you read this thank you once again you were perfect." "What a fantastic review thank you, I look forward to the next party." "Excellent crowd rapport and very professional throughout. Highly recommended "
"Thank you for your feedback, it was a great night. I hope I can be of service in the future." "Karl arrived on time and set up efficiently. We provided an extensive playlist so we can't really comment on Karl's music choices as he stuck the playlist. He interacted well with the magician but never really interacted with the guests. He provided what we asked for." "Thank you Sally for your feedback your comments they have been taken on board. I thought it was a great day and thank you for my fish and chips." "I would definitely recommend Karl, we had a 21st for my daughter and his music selection, mixing and timing were perfect. We will use Karl for any future parties, well worth the money. Thanks Karl "
"Thank you very much :) I had a fantastic night and hope to be of service again !!" "Although a tough crowd,Karl did a great job,played some great music and also was very helpful when it came to playing some games.Cracking job,great value for money and all round nice guy!thanks Karl." 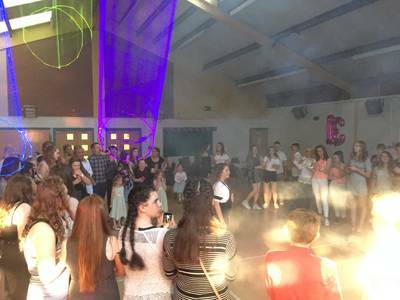 Jackal Sounds Mobile Disco also offers a range of additional party services not directly linked to musical entertainment. Please note that needadisco.com has no editorial control over these images which are stored on flickr.com. If you have any concerns about what you see below, for example potential copyright infringement or unsuitable content, you should take this up with Jackal Sounds Mobile Disco directly using the Contact section below, or else you may alert flickr.com directly quoting "set number 72157671327661351". If you are contacting Jackal Sounds Mobile Disco about an event, it's always a good idea to include the DATE, LOCATION, EVENT TYPE, AGE GROUP and TIMINGS to speed things up!